For most, the beginning of the year is a time for reflection, a time to map out what you want your year to look like. Anyone can write down their goals, but achieving those goals takes a little more planning if you want to be successful. So many people fall into the vicious cycle of creating goals with great intentions but letting them fall by the wayside and sometimes even forgetting what those goals were in the first place. If this has happened to you in the past, don’t let 2018 be a repeat! 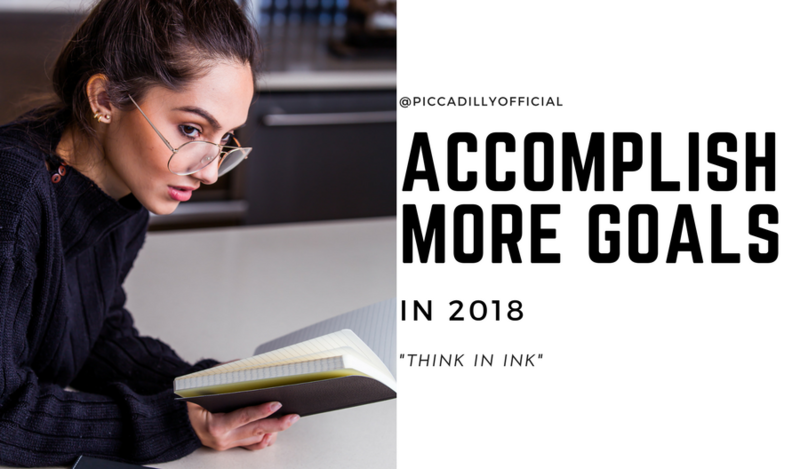 Read on for a step by step guide to successfully accomplishing your goals in 2018. Step one is pretty obvious; decide what your goals are going to be and write them down. You can use a notebook, journal, computer, tablet or any place easily accessible for review. Try keeping your goals on your phone lock screen so that you will see them every day. This will help keep you focused on the task at hand. Remember goals aren’t a once a year thing; add new goals or make changes to your existing goals throughout the year. The next step to accomplishing your goals is to create a plan for each goal. Write down your plan step by step so that you can easily visualize how you are going to reach your goals. You can add as many or as little details as you want. The idea is to make sure that you have a clear picture of exactly what you need to do to get where you want to be. If you can visualize how you’re going to meet your goals, the process becomes much easier. Make it a habit to check in with yourself often. Checking in on your goals is probably the number one way to ensure that you’ll be able to meet your goals. Checking in allows you to monitor whether your original plan is the right path to reaching your goal(s). If something isn’t working and you haven’t made any progress or if progress is slower then you’d anticipated, adjust accordingly and make note in your goals notebook or journal. Add smaller milestones to long-term goals. For long-term goals, break them down into smaller milestones. This will help you keep your motivation going when the goal(s) you are working towards are months or years out. You can also choose to add timelines to each milestone to help you keep a steady pace towards your ultimate goal. Think of these milestones as mini goals that deserve just as much celebration as your end goal. So, you’ve accomplished your goal(s); now what?? Make it a habit to constantly strive towards new goals. Having goals is essential to personal well-being, growth and development. Goals don’t have to be crazy and life altering but anything of personal significance to you. You’ll be surprised at how good you feel each time you check off a new goal from your notebook.